Open kitchens, great rooms, family kitchens–whatever you call them, open floor plans that flow from kitchen to an attached family room with little separation between the two have been wildly popular in the last several years. Of course, with the division between kitchens and family rooms decreasing, it is becoming more important than ever for kitchen cabinets to look great and flow with the interior design of the rest of the house. 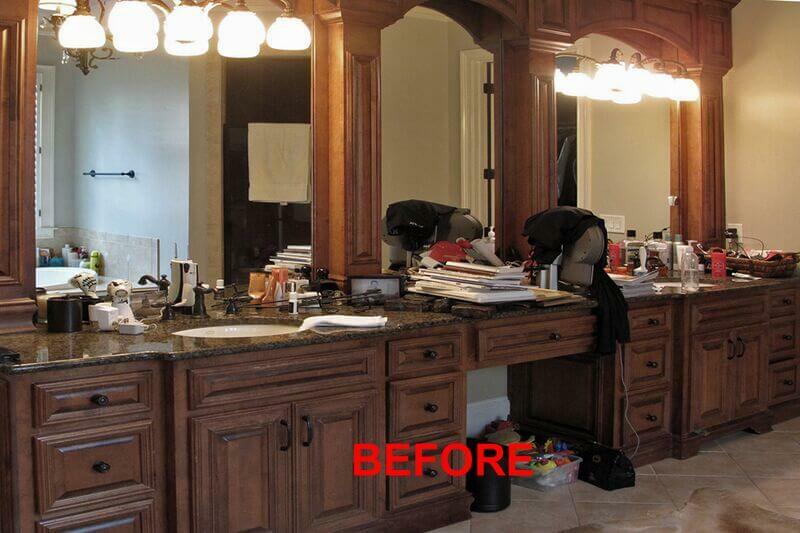 That’s where faux finishes and decorative painting can make a world of difference, helping to achieve a unity of design throughout these heavily-used areas of the home. 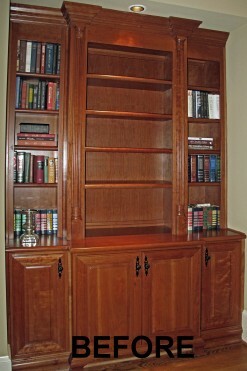 Replacing cabinetry that is in otherwise good condition is a messy and wasteful process. 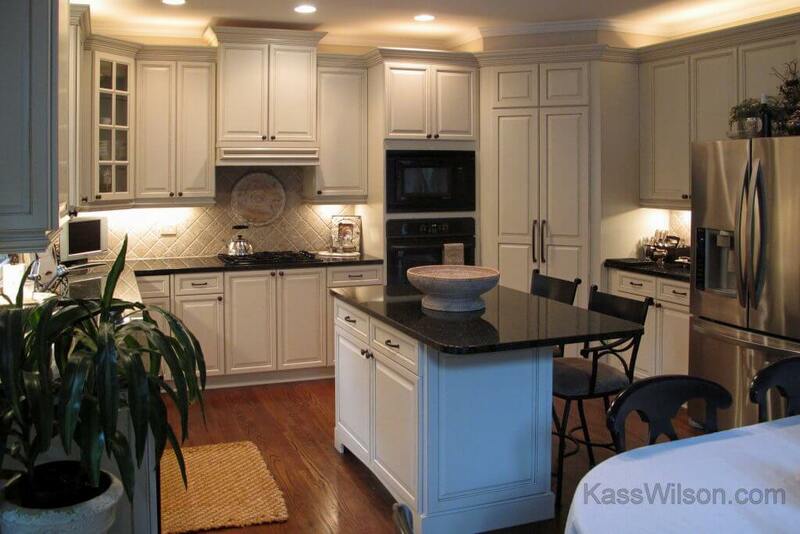 However, Atlanta decorative painter Kass Wilson can transform existing cabinetry with the magic of faux finishes to achieve a variety of styles, whether you’re wishing for a rare wood species or want to get in on the contrasting cabinet colors trend. 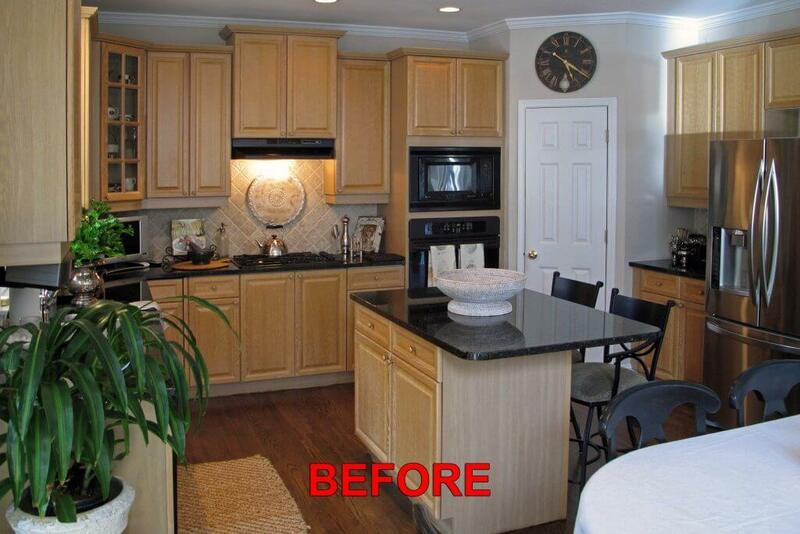 These are a few of our favorite examples of how our Atlanta cabinet refinishing services can transform a tired kitchen into a showstopper. Many homeowners these days want to retain the elegance of traditional interior design styles while embracing a more streamlined, contemporary sensibility, resulting in what many designers refer to as “transitional” style. 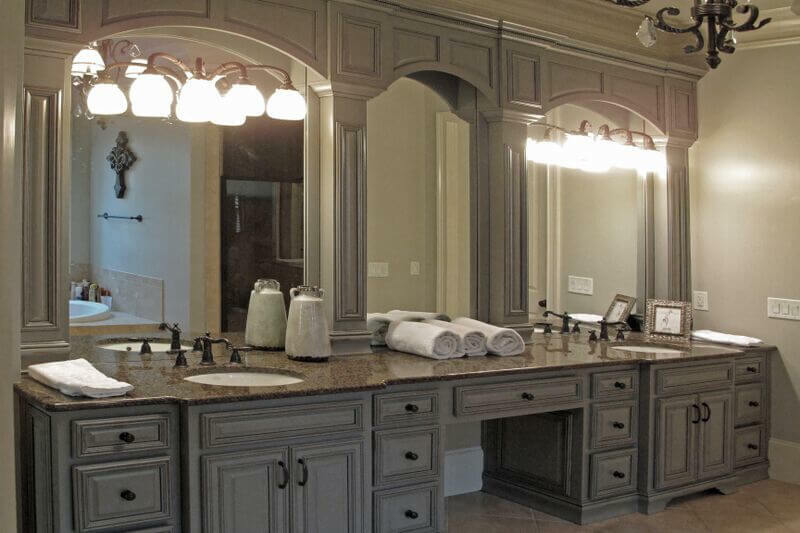 The trend towards gray cabinetry is an example of this transitional style, helping to update traditional spaces with a more contemporary color palette while still remaining subtle and elegant. 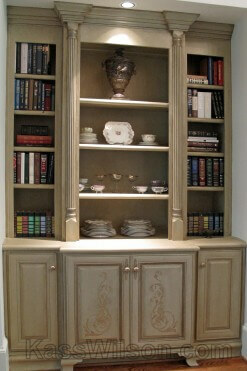 Another popular color option for refinishing kitchen cabinets is white. White kitchens have been wildly popular for years now, and the trend doesn’t seem to be budging. People love white kitchens for good reason; since cabinetry takes up so much of the space in kitchens (which often don’t have a profusion of natural light), dark cabinets can make the room feel like a cave. White cabinets, on the other hand, make the space feel expansive, light, and airy, especially when the room is also open to a living area. Since open kitchens are much more visible, many homeowners are interested in amping up their cabinetry style, not only through cabinet refinishing, but also with decorative painting. 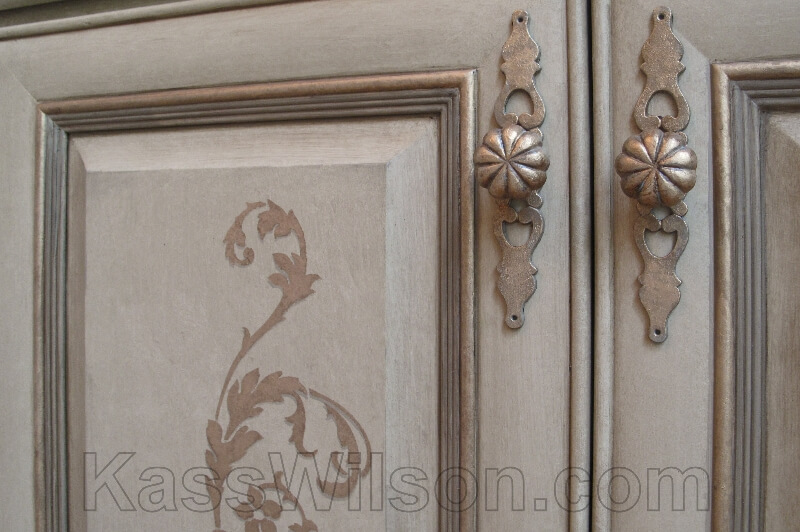 Our Atlanta faux finish services include antiquing, distressing, woodgraining, stenciling, metallic finishes, and so much more. Take a look at our portfolio to see the wide range of decorative finishes we have created throughout the metro Atlanta area, and contact us to discuss your next interior design project!